Last updated 23 August 2018 . By Anisah Audu. One of the world's best bars is about to have your tastebuds tingling. Take a trip to St Martins Lane Hotel next month and you just might find something special at its elusive speakeasy Blind Spot. The Covent Garden bar is welcoming The Clumsies all the way from Greece, for an exciting four-day residency, so you will be able to get a taste of Athens without having to hop on a plane. 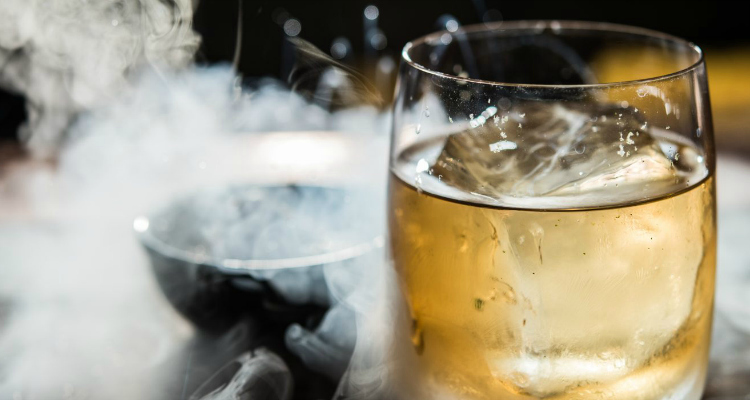 Currently ranked 6th on The World's 50 Best Bars, the award-winning cocktail bar is known for its innovative concoctions and charming service. Come thirsty, because an extensive menu of libations awaits. From the gin-based Star of Bombay, to the signature Clumsy Negroski which swaps gin with vodka and adds a dash of beeswax and pepper, you'll want to try them all. There will also be a cocktail exclusive to the pop up, with a Clumsy Martini which combines Grey Goose vodka with a spirited mix of pickled rhubarb manzanilla sherry, and Otto’s Athens vermouth. The Clumsies will be at Blind Spot from from Tuesday 25th to Friday 28th September. You can find them at 45 St Martin's Lane, London WC2N 4HX.